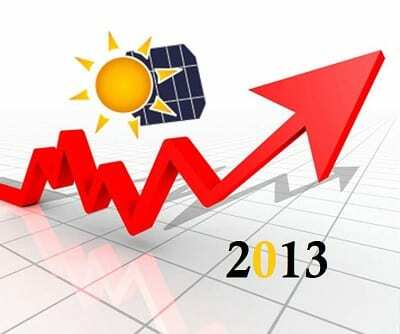 The past year has been very positive for the solar power sector. A new report released by the European Photovoltaic Industry Association shows that 37 gigawatts of solar capacity was installed throughout the world in 2013. This is higher than the solar capacity that NPD Solarbuzz had predicted for 2013, though the organization does estimate that installed capacity worldwide will reach 49 gigawatts this year. Solar energy has attracted a great deal of attention because of its economic prospects. According to the European Photovoltaic Industry Association, China accounted for the majority of installed solar capacity in 2013. The country brought some 11.3 gigawatts of capacity online last year. China has set its sights on solar power in order to reduce its use of fossil-fuels and cut down on the emissions that have chocked its largest cities with smog. China is also focusing more heavily on other forms of renewable energy in order to accomplish these goals. Japan is also a leader when it comes to installed capacity in 2013. The country has installed nearly 7 gigawatts worth of solar capacity throughout the past year. This is mostly due to the country’s aggressive feed-in tariff, which is designed to incentivize the adoption of solar power. Japan’s focus on solar energy increased in the wake of the Fukushima nuclear disaster, when the country cut ties with nuclear energy and had to fill the void with other forms of power. The U.S. also pulled ahead in terms of solar capacity in 2013, boasting of 4.8 gigawatts installed throughout the year. This is higher than Germany, which had once been considered a world leader when it came to solar power. Other European countries have shown lackluster support for solar power due to economic concerns and continued reliance on fossil-fuels.